Nearly pain free, and loving the water after just one month! That’s what Kimberlee M. had to say about her new LIFE Ionizers M9. 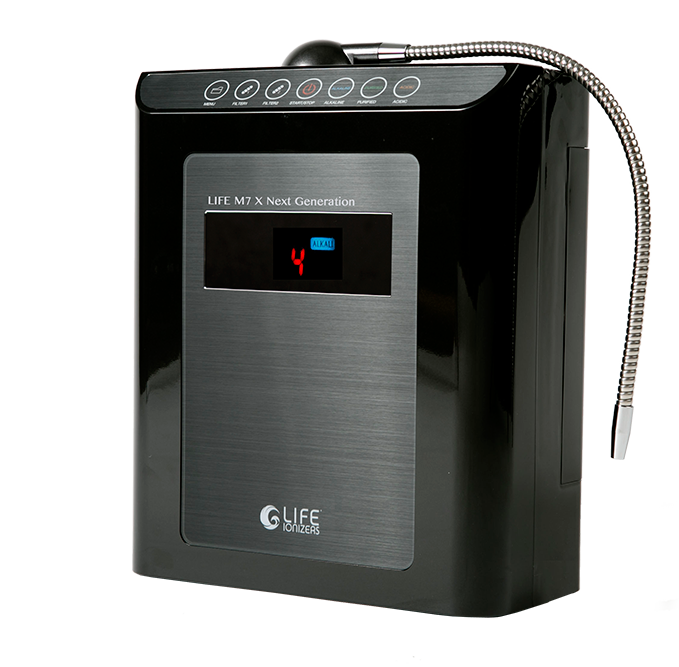 The LIFE M9 is our popular top-of-the-line water ionizer with 9 plates and lots of power. For a lot less than many competing ionizers, the M9 gives you the highest antioxidant benefit possible at pH levels that are perfect for daily use. What does that mean? Health experts recommend a pH of 9.5 for daily use. The M9 is designed to maximize the antioxidant health benefit you get at that pH level. More antioxidant benefit means that your health benefits sooner than it would with lesser ionizers. More antioxidant benefit puts you back in charge of your health. 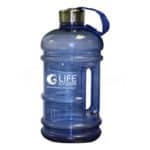 Where can you find more reviews for Life Water Ionizers? ∙ Amazon – 400+ positive reviews averaging just under 5 Stars across our Life Ionizer units: M5, M7, M9, M11 & M13. ∙ Facebook – Positive comments from our thousands of satisfied customers. ∙ Google – 4.5 / 5 stars as reviewed on Google, almost perfect. ∙ Reseller Ratings – 70+ overwhelmingly positive reviews, giving Life Ionizers nearly a 9/10. ∙ TrustPilot – 9.6 / 10 stars by nearly 200 company reviews, putting Life Ionizers as one of the highest rated. “Just purchased M9 less than a month ago. Within a week at 8.5 alkaline, minor aches and pains went from 100% to 10% for both my husband and I and I’ve lost 6 pounds! Love the many uses of alkaline/acid water including chemical free cleaning ability, and beauty facial wash using acid water. I have never enjoyed drinking water, and now I crave it! Customer service is excellent and able to answer any questions you might have. Now our friends come over to get alkaline water to drink.” – Kimberlee M.
“Purchased the M9 Life Ionizer Next Generation Water Machine in 2014. Both my wife and I have thoroughly enjoyed this investment in our health. We have read articles that give very useful information about the health benefits of drinking Alkaline water on a continual basis. We do not have any quantifiable data that validates the greater health that we are experiencing. However, we have our own beliefs that we have not had any increase in any of the major health indicators like, cholesterol, blood pressure and for sure my wife’s blood pressure has gone down and her cholesterol medications have been reduced in half.“ – Marion C.
“Last year we purchased a Life Ionizer M9 Next Generation machine! We absolutely love it! It has made a difference in how we feel each and every day! I personally called and spoke with a gentleman by the name of Will Allen! He answered every question I had and more! Will made the purchasing process so easy! He guaranteed my delivery and sure enough our machine was here! We called for instructions and he was just great! We have referred several people to LIFE Ionizer! 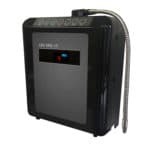 This is the only company we would purchase from!“ – Linda C.
“I love the life ionizer. We have been using it for about a year now. I have always been fussy about the water I drink already owning a reverse osmosis water filtering system. When I read about alkalized water I knew I had to have one. 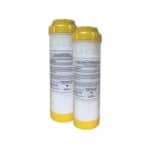 I enjoy drinking our water when I know I have done everything I can to make our water the best it can be.“ – JoAnne F.
“I have had a Lifelonizer Filter system for about 4 years and it has been the best system that I have used along with the support form the main office if I ever have a problem. Best thing is I have never had a problem and if I am to rate this product from 1 to 10, it will have to be a 10.“ – Donnie D.
“I’ve had my under the counter water ionizer for several years now and I am extremely pleased with the unit and the customer service.“ – Renee L.